Eric Dubbury and Ben Bransford faced a concert promoter’s worst nightmare. 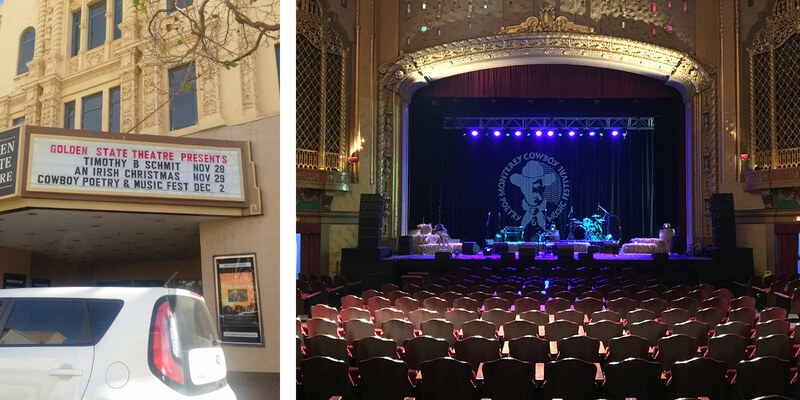 The USC Thornton alums had the venue, the artists, and all the costs of producing a live music event last December in Monterey, CA. What they lacked was an audience. 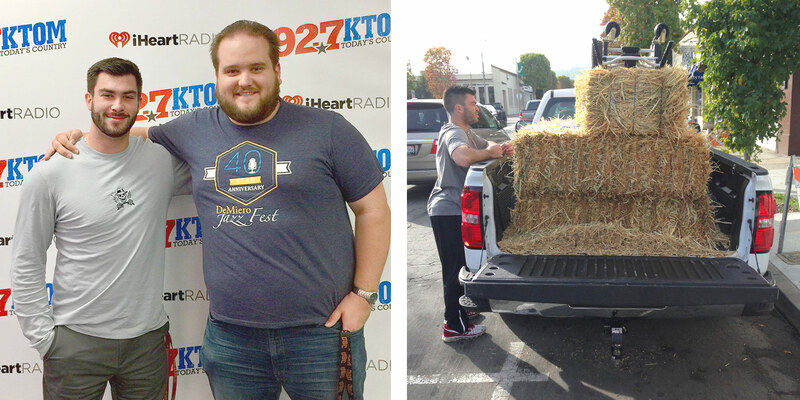 Less than a year after graduating from the Music Industry program, the two friends took over leadership of the ailing Monterey Cowboy Poetry & Music Festival. In an effort to revive the event, they invested not only their own capital but also money borrowed from friends and family. Ticket sales were sluggish. By the day of the show, they had sold far fewer than they needed to break even. The duo was so angst-ridden as they drove to the Golden State Theatre in Monterey, they stopped checking the app on their phones that tallied sales—until they pulled up and saw the crowd pouring in. The festival had sold nearly 300 tickets in a matter of hours, enough to not only break even but to turn a small profit and pay back the money Dubbury and Bransford had borrowed. Such are the swings of fortune in a concert promoter’s life. For Dubbury and Bransford, that life began when they met at USC in the fall of 2013. 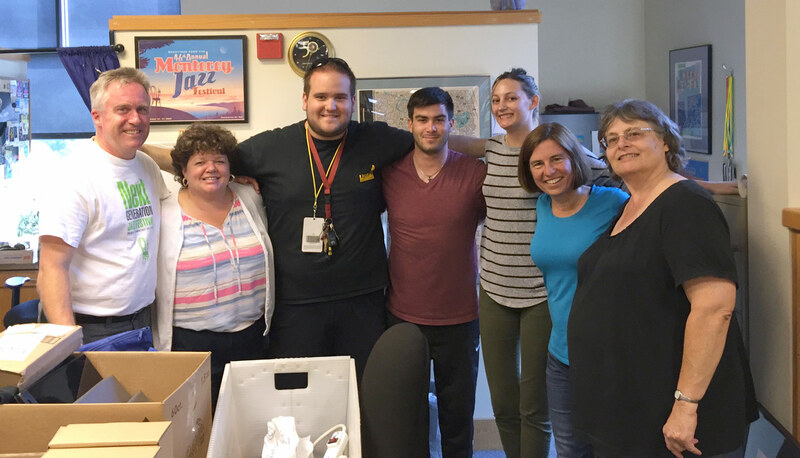 It was Bransford’s first day as a transfer student when he ran into a familiar face — USC Thornton faculty member Bruce Forman, who lives part-time in Bransford’s hometown of Carmel. The noted jazz guitarist mentors young musicians in the area, and Bransford had been lucky enough to be one. Dubbury happened upon them in the hall and offered to show Bransford the way to class. The two students became friends, and Forman continued his role as a mentor. After graduating in 2016, the duo had big plans involving music but were searching for the right opportunity. When Dubbury was in a local bar near his home in Edmonds, WA, some nine months later, opportunity literally walked through the door. “The door swung open, it was pretty late, and Bruce Forman walked in,” Dubbury said. “I hadn’t seen him since I was at USC as a student.” Forman was in town to play a local jazz festival. The surprise encounter gave them the chance to catch up. A week later, Forman called about another festival. The Monterey Cowboy Poetry & Music Festival had completed its 18th year, but its 19th looked doubtful. Its founder had passed away. It had lost money and accumulated debt. The board was tired, ready to disband. Forman had grown attached to the event after playing it for years with his band Cow Bop. With Dubbury fresh on his mind, he thought what the festival needed was an infusion of youth. He told the board about his dynamic former students and offered to make the connection. It helped that Bransford lived just 10 minutes from Monterey. Upon learning of the potential opportunity, Dubbury and Bransford wondered what their roles would be. They had interned together at the Monterey Jazz Festival the previous summer, and they thought it might be a similar situation. They couldn’t have been more wrong. “We have always just kind of been ambitious in what we think we can do,” Bransford said. 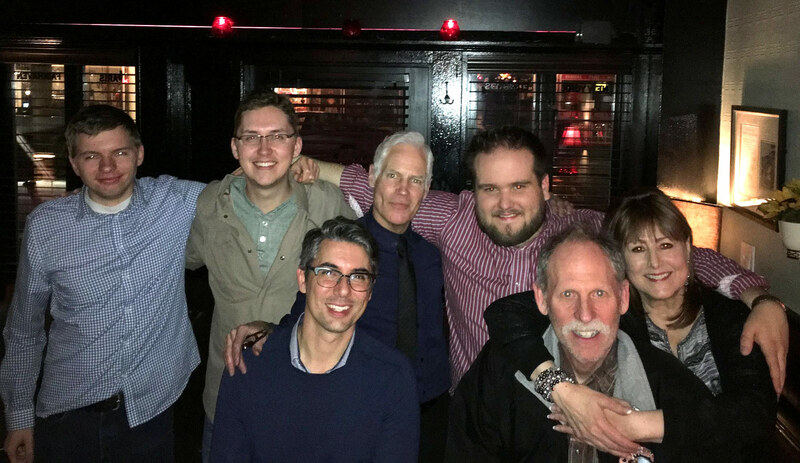 Dubbury and Bransford teamed up for the year-long project and produced an ambitious show at the Catalina Bar & Grill in Los Angeles, featuring an 18-piece big band. Though they knew how to stage a concert, the self-professed “jazz-heads” understood little about cowboy music, a subgenre of country and western, to which the broader genre owes its roots. It began with real cowboys of the West, singing songs and telling stories while driving cattle across the open range. Today, cowboy music retains it origins in storytelling and embraces a more folk-based sound than contemporary country music. 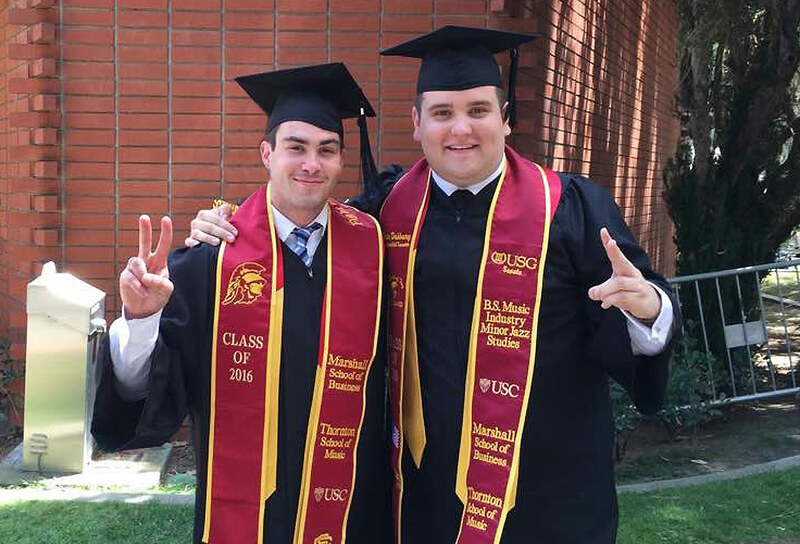 Both Dubbury and Bransford fostered that independent spirit with classes at the USC Marshall School of Business, which they found dovetailed with their studies at Thornton. “I think the Music Industry department is one of the best designed majors at USC in the sense that our classes in the music school that were specific to the entertainment industry were complimented by classes in the business school which were 100% business focused, so you really got the two sides that you needed,” said Bransford. He and Dubbury augmented their studies with additional courses at Marshall in Entrepreneurship. That broad knowledge base served the duo well during their first year, in which they streamlined the festival and took some time to understand their audience. They increased their social media presence, tinkered with the lineup, and combined younger, more popular acts with familiar faces from previous years. The formula worked. Like true entrepreneurs, Bransford and Dubbury are using what they learned last year to forge ahead. They made one thing smaller — the name, now simply Monterey Cowboy Festival. But for the event’s 20th anniversary, everything else will get bigger. They moved the event to the Monterey Fairgrounds and added a second stage. Last year, four acts played to an audience of 650. This year, fifteen acts may draw up to 5,000. 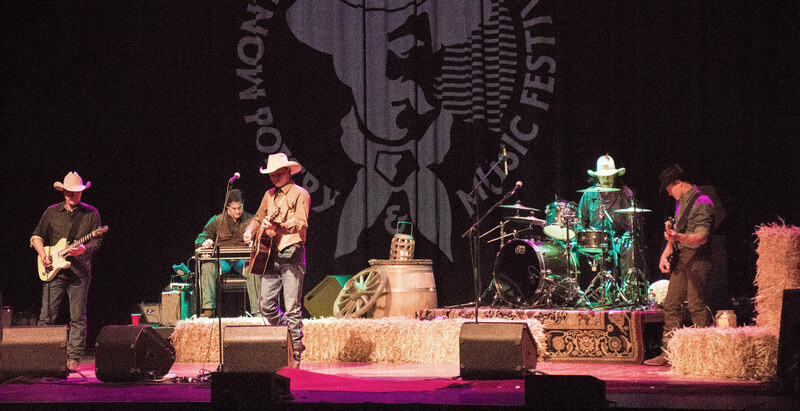 John Pardi and Midland will headline the festival, rising talents who Bransford anticipates will soon become “two of the top 25 names in country music.” Of course, Forman will be there with Cow Bop. Even the festival’s charitable component, something important to both of them, is getting a boost. They created a scholarship fund in the founder’s name that will donate $10,000 to local music students. If all goes well, they have even bigger plans in mind. For now, they’ve got their hands full with one festival and a perennial challenge. “We’re still losing sleep at night, hoping people buy tickets,” Bransford admitted. That will always be the concert promoter’s life. The 20th annual Monterey Cowboy Festival takes place on Sat., Nov. 3. For more information, visit montereycowboy.org.